ÆRT Prog / Face to Space EP Noun , Foss, Rayan Ja Faer Release : Oct 8, 2012 Tracklist : Rayan Ja Faer - Nasty Void (2:14) Rayan Ja Faer - Snake (3:56) Foss & Rayan Ja Faer - Face to Space (9:15) Foss - Amenside (4:20) Noun - Hype Nose (2:44) (FR) Because Editions est à l’initiative de la rencontre entre ÆRT Prog et Boxon Records. Ce premier EP de cinq titres originaux est la première étape du programme ÆRT. Il réunit les trois identités musicales du projet : Noun, Foss, et Rayan Ja Faer. Chacun vous transportera dans son univers, et guidera votre esprit vers la force qui les anime. Préparez-vous à faire face à l’espace, la thérapie commence enfin. Noun, Foss et Rayan Ja Faer seront de retour avec Source EP en février 2013. (UK) Because Editions is the initiator of the meeting between ÆRT Prog and Boxon Records. 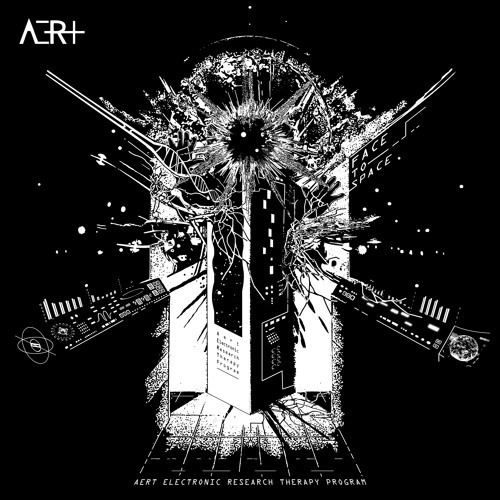 This first EP is composed of five original tracks, and is the first step of the ÆRT Program. It put together the three musical identities of the project: Noun, Foss, and Rayan Ja Faer. Each of them will transport you in their world, and will guide your spirit towards the strength that animates them. Prepare yourself to face space, the therapy finally begins. Noun, Foss, and Rayan Ja Faer will be back with Source EP in February 2013.